Like many, I’ve read Marie Kondo’s books. They’re an easy read and she recommends passing on to a friend when you finish. Nice advice. When I finished, had you asked me, I’d have said my jury was out. Anything that raises the profile of my profession is great, but I don’t see myself as a teacher. I like it that my APDO buddies have vaying approaches, but I don’t want to be a guru, I want to be an ally. Had we been chatting, I think you’d have concluded I didn’t want to diss a fellow organiser, but wouldn’t go out of my way to meet Marie for a coffee. Funny thing though – I have been influenced by Ms Kondo. In a good way. 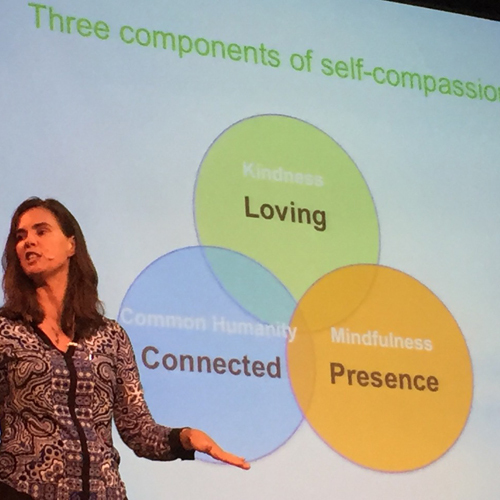 Once I’d stopped focussing on her client approach, there were some important little gems planted by her in my head. Marie’s influence is evident in my home. Her question “does this give you joy?” is one I use often (with reference to her) at work. It’s a brilliant question. I’ll come back to my home in a minute. It’s the notion of joy that’s influencing my work. “Being surrounded by things that bring joy makes you happy”, says Marie. She is so right. Clients often talk about that; they feel happier walking into a room displaying only their treasures. Sometimes I stand with a client while she holds an item of clothing, a mug, a letter, wondering what to do with it. Their wondering is a good prompt for the joy question. Whatever the response, it helps us along our way in our work. It can lead to a quick decision, a story and sometimes to surprising, yet spot-on, places. 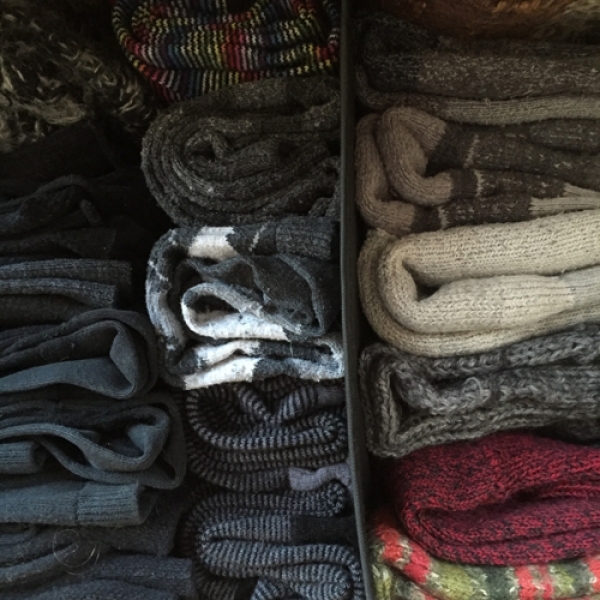 As for my home, I thank Marie for my sock drawer. I used to ball them up in pairs and vaguely arrange them. Marie would have been horrified. To paraphrase: ‘our socks take a real bashing when worn. While in the drawer they’re on holiday and need respite’. That’s a bit too weirdo-beardo for me, but I love where she takes us next. Marie teaches us to fold and store our socks. She uses the method generally employed when we buy socks; one is placed on top of other and they’re folded back onto themselves at the ankle. Fold again, depending on length… then store on their sides! They keep each other upright and could be organised by colour, type, wool-blend, whatever. It’s fab. They take up less space. The more I do it, the more my socks become used to it and come out of the wash ready to be folded like that. 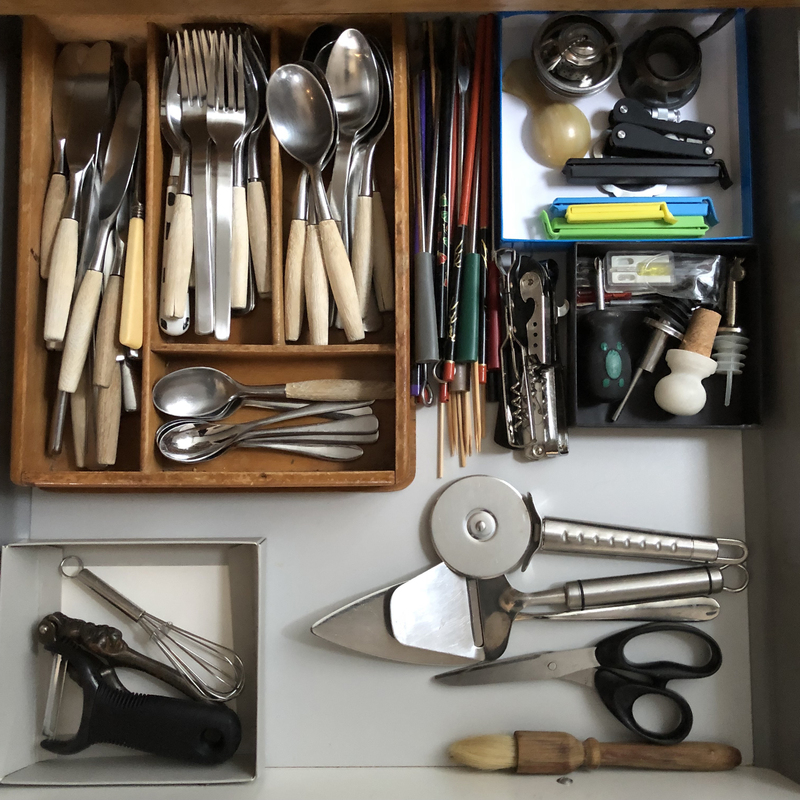 When I open my drawer it’s just lovely – I can see them all at once, reach for the pair I want and it looks pretty. A serene way to start the day. Thanks, Marie.